Make this Easter more colorful. 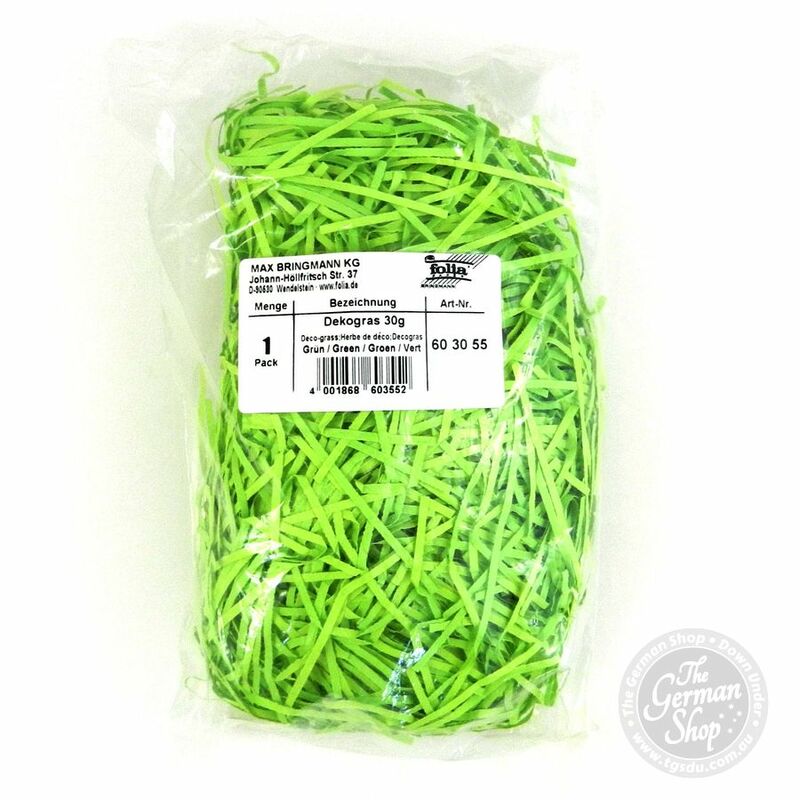 5 different colors and really easy to use. 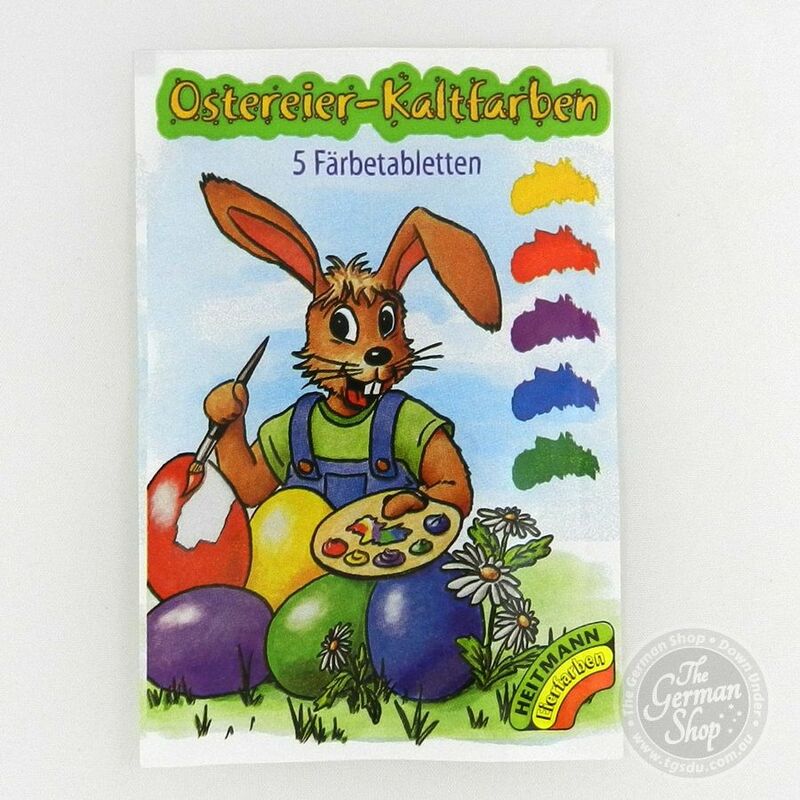 Obviously, the Easter bunny can’t dye eggs for all the children in the world. So he needs some children to help him. These Cold-mixed egg dyes are safe for even very young children to use. Simply apply the dyes using cold water and a little vinegar. 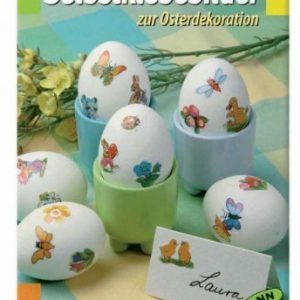 If you like, you can decorate the colourful eggs later with HEITMANN’s cute self-adhesive pictures. Dissolve tablet in 2 tablespoons of vinegar and 250ml cold water. Place the still hot, boiled eggs in the solution for about 5 minutes. Dry on kitchen paper, rubbing the eggs with fat will give a nice shine.